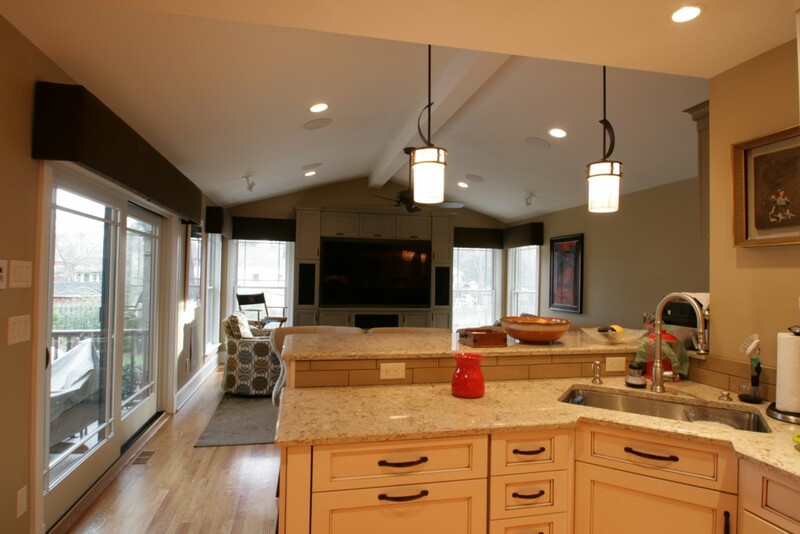 This project included the complete renovation of a kitchen and family room to better serve the needs of the owner. New larger windows were installed in the corners of the room to provide expansive views to the rear yard and enable the family room to be transformed into a film screening room at a touch of a button. 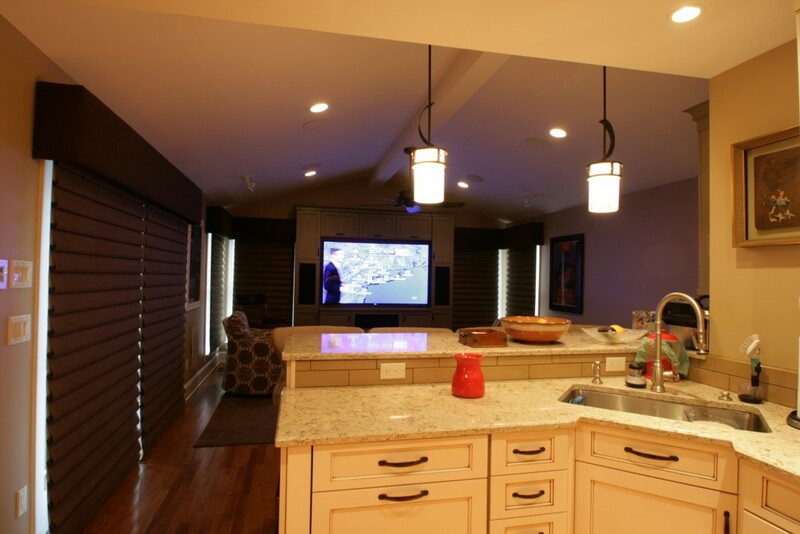 Automatic black-out shades and state of the art audio/visual components create the ultimate viewing experience.